With the occassional snowy Seattle days, it's comforting to know that the new SLS AMG convertible can handle itself on snowy roads. 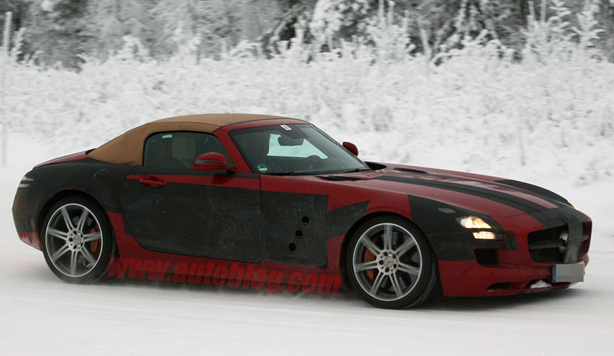 Take a closer look at these Spy Shots from Autoblog, giving us our first good look at the convertible top. Without the iconic Gullwing doors the SLS AMG convertible takes on a different look, but this supercar looks amazing--and just as powerful. See more spy shots of the SLS AMG on Autoblog!